Evening hunger pangs are sure a cause of concern amongst women as that is the time you are famished. However, eating energy bars, a fruit, chai, coffee or muesli is not a healthy solution. Kareena Kapoor's dietician Rujuta Diwekar is known for her desi diet plans and how Indian food can help you lose weight. Rujuta's diet plans focus more on the evening hunger pangs as that is the time that hunger hits the most. And, that also happens to be a time that you end up eating the most junk. Beating the evening hunger pangs! Evening hunger pangs are sure a cause of concern amongst women as that is the time you are famished. However, eating energy bars, a fruit, chai, coffee or muesli is not a healthy solution. The best foods that you must be eating during this time have to be desi foods, which you have been eating all your life. Before we start on, let us tell you that the best thing about Rujuta's diet plans is that they are totally desi. Yes, that's right. Kareena Kapoor's pre and post-pregnancy weight loss is all thanks to Rujuta's meticulously planned diet that contain ghee and cashews. Curbing the evening hunger by having chai or coffee pushes our bodies to produce more cortisol, says Rujuta. "Cortisol (or the stress hormone) drops in the evening that allows you to have a good night's sleep. This is extremely important to maintain your metabolic health, hormonal balance, your immune response and your response to stress," writes Rujuta in her latest Instagram post. What happens when you curb your evening hunger pangs? 1.A handful of groundnuts and chana: This is the perfect snack to regulate appetite, prevent overeating during dinner time and bloating, as per Rujuta. It is also a perfect snack for people with diabetes and those who have low energy levels during the evening. 2. 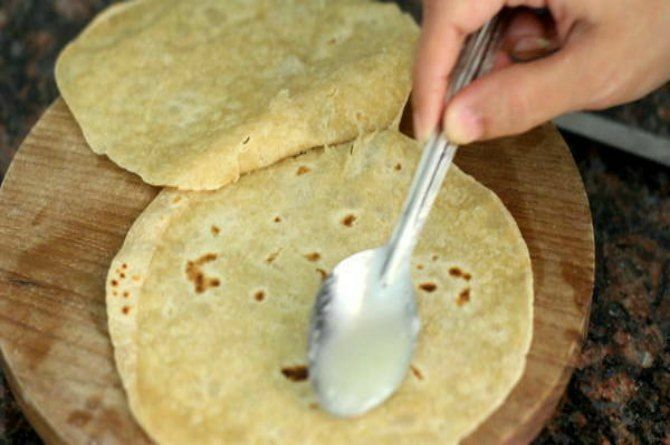 Jaggery(gud), ghee and chapati: If you have sleeping issues, low haemoglobin, are very active and suffer from constipation, this is the snack that you must be having in the evening. 3. Poha/Upma/Dosa/ Homemade khakra/ homemade mathri/ besan Laddoo/ Egg toast: This is the best option for those who suffer from frequent headaches and leg cramps. If you work in the evenings and have a low immunity, this is the best meal for you. 4. Chaat/ Samosa/ Street food: This is a great time to have chaat for those who love binging on it but once a week. The worst time to have street food is night, says Rujuta. Follow this plan and your dinner quantity will automatically drop in the next 4-5 days, adds Rujuta.